My wardrobe, like many of my fellow Who What Wear editors, is a blend of affordable and luxury fashion. It’s a mix of of-the-moment pieces that tap into fashion’s most notable trends along with investment pieces that have been collected over the years. To me, that feels like a modern way of dressing. Sure, I have a pair of Chanel slingbacks that ground many of my looks, but there’s likely going to be a pair of $46 jeans that are a part of the outfit as well. This week, I decided to embrace my affinity for Zara and put myself up to a kind of wardrobe challenge: to dress in Zara for a week straight. And I did. For the office, for a date night, for dinner with friends, for a weekend coffee run—all my outfits were built around affordable pieces from Zara. What it resulted in was a mix of some more experimental trend-forward outfits (hello, tiger-print pants) with less risky looks that fit into my everyday wardrobe (yes, high-waisted denim is involved). Ahead shop the Zara items I wore and the pieces I styled them with. Like I mentioned, I wore these jeans more than once because they just fit so well. 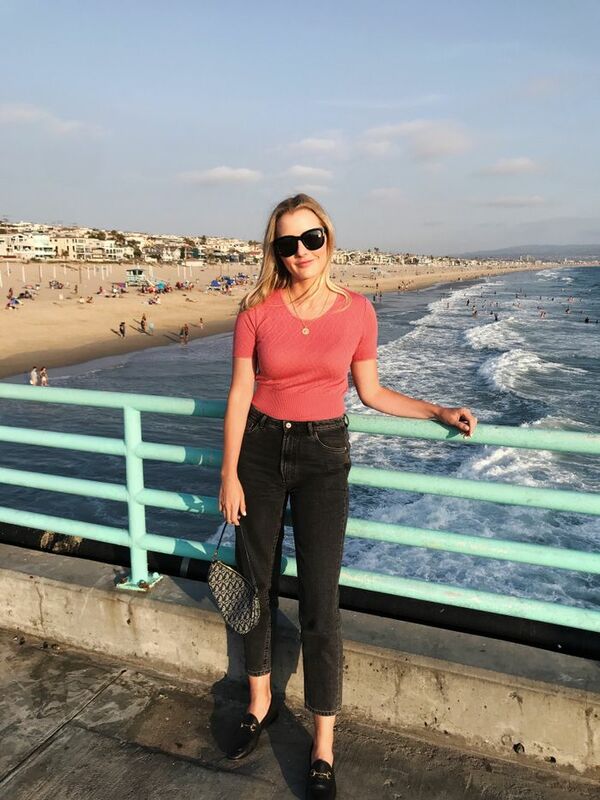 For the second time wearing the "mom jeans", I paired them with small oval sunglasses and a spaghetti-strap bodysuit for a ’90s vibe. Top and Tweed Miniskirt available in sizes XS to L.
Next: How I shop for my classic style at Zara.